Despite continued low MI unemployment rates, 2018 job seeker attendance was up 24% over 2017. In March/April, Michigan Works! 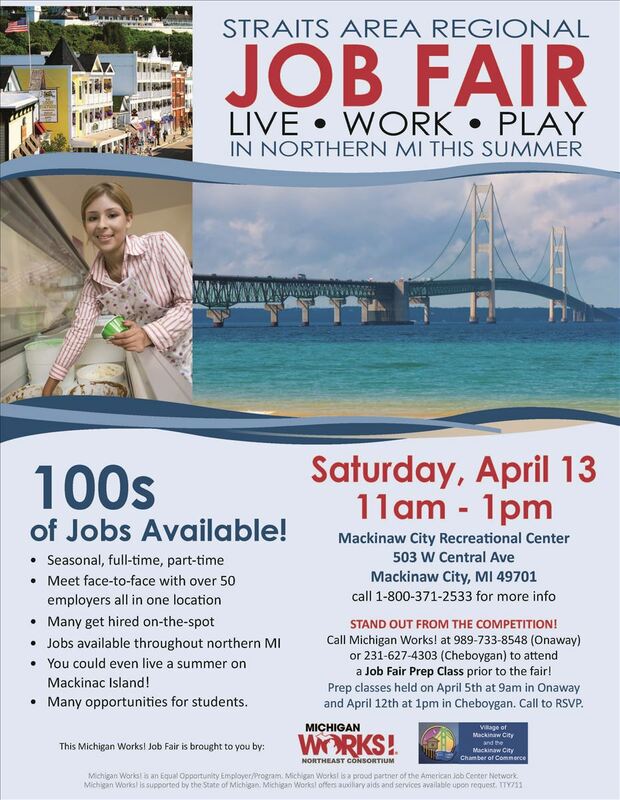 Northeast Consortium held four Job Fairs across northeast Michigan, in Mackinaw, Gaylord, Grayling, and Alpena. Despite Michigan unemployment levels still hovering around 4.7%, both job seekers in attendance and employers present were up from 2017 Job Fair numbers. Nearly 800 job seekers attended the fairs hoping to speak to the over 200 employers present. The Alpena Fair was originally scheduled for April 17, but due to the late season snowstorm, had to be rescheduled until the next week. The schedule change didn’t seem to hurt attendance, as 270 job seekers showed up at the rescheduled event! Employers at all four events commented on the great turnout, stating these events are a great opportunity for our communities. Some even mentioned that the candidates attending this year seemed more qualified and prepared for the fair, wearing interview-appropriate clothing and toting resumes in-hand. Many also noted how well organized and setup the event was. 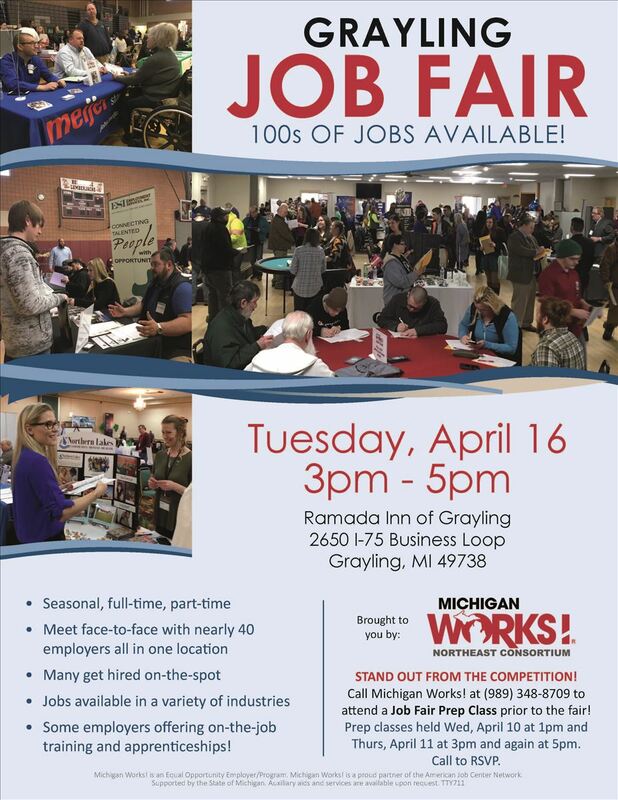 Job seekers commented how great it was to have so many different employers in one location. Some were even surprised to learn about companies in the area that they never knew existed, let alone were hiring. A few lucky applicants even got hired on the spot. Get the skills you need to stand out from the competition! Michigan Works! Northeast Consortium offer a variety of free workshops and training programs to help job seekers improve their skills and increase their chances for finding employment. Workshops are offered on a regular basis throughout the month.